On Super Tuesday, March 6, of 2012, Dr. Weidong Wang becomes the first Chinese-American elected officer in town-wide elections in the historical Lexington Mass. The following is the final vote count, and it shows that Weidong defeated Mr. McCabe by 262 votes, and won a seat in the 5-member Lexington Housing Authority. 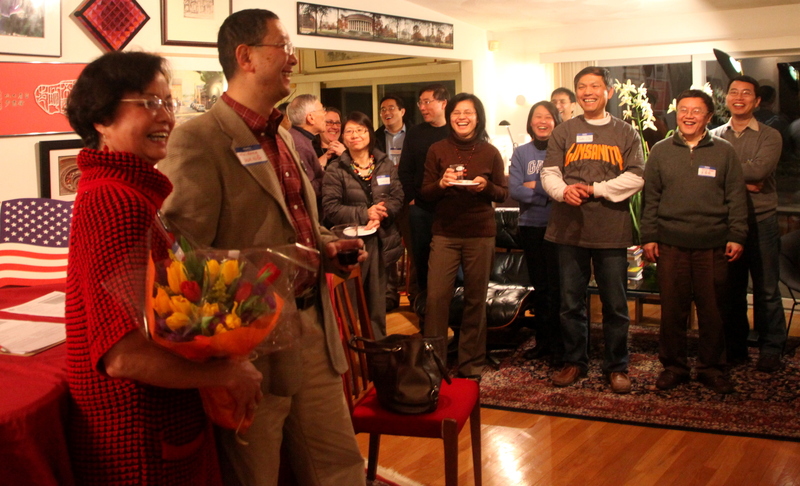 Dozens of supporters gathered at Mr. and Mrs. Larry and Sophia Ho’s residence in the evening, watching election results on a big computer screen as they came in to the town’s website. In his short speech to supporters after learning the election results, Weidong Wang thanked all the supports and volunteers, especially his campaign manager, long time Lexington resident Sophia Ho. In an email to his supporters, Mr Wang wrote:”Thanks for so many people’s help！ I am not going to name names as I am sure I will leave out many, but people can tell from the email —-, especially the strong push from the last weekend by many people, door-to-door campaign, post-card sending, sign holding, etc, we finished strongly. I am grateful for all the volunteers. You guys are great! 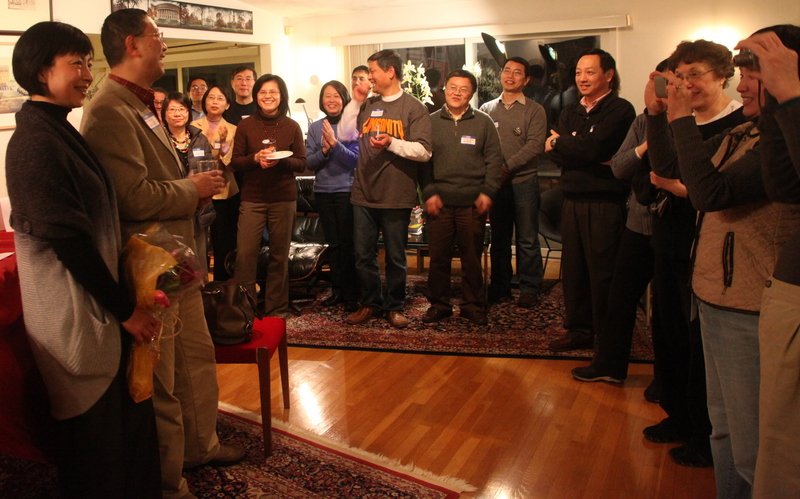 John Zhu, an active supporter for Dr. Wang’s campaign was wearing a big smile on his face in the victory party. He told reporter that he had held campaign signs on Sunday, March 4, with other volunteers in front of CVS in Lexington Center. He wore a Jeremy Lin jersey at the party just as he did on that Sunday afternoon. Mr Zhu told reporter that there were pioneer Chinese Americans in Lexington, including C. C. Chao, Peter Lee, Larry & Sophia Ho in the past and current, who have actively participated in town elections and affairs. “Without this solid foundation, there would not have had the first Chinese American to participate in a town-wide election, or winning it,” he said. P.S. Nice web site, David! Wang is in! He was sworn in as a municipal official — a member of the Lexington Housing Authority — the day after his victorious election. The town wasted no time and called on his services right away! Congratulation, Wang Weidong and family. What does it mean to have won the first town election. Would there be a 2nd one? Or will Weidong be appointed as an municipal officer?